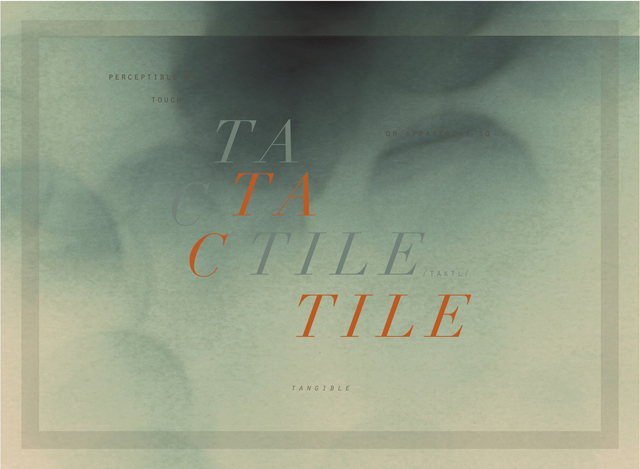 Thesis—Haptic — Hi, lovely to meet you. Haptic takes a design approach to exploring how our sense of touch plays into our mental understanding of the world, the ways in which we are affected by tactile sensations and the emotions that are associated with them. The project consists of two main components. The first is a 15x15in. accordion bound book that incorporates print processes including silk screen, die cut, letterpress and xerox transfer. 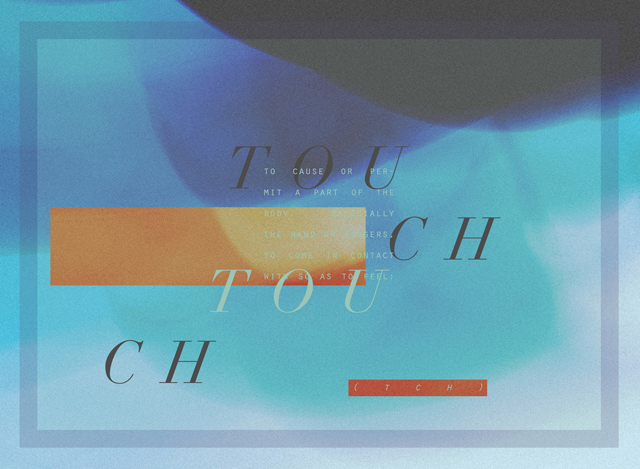 The second is a poster series, 3 large format posters that illustrate the words touch, haptic, and tactile. Each poster is printed on 22x30in. Arches paper. The definitions were then silk screened using heat sensitive ink, so the viewer will be able to reveal it's contents through touch. Haptic is meant to educate as well as encourage interaction. Humans are built for the physical world. Our minds and bodies are trained to be sensitive and perform in environments full of diverse tactile interactions. This project is a tactile experience that will help the viewer connect with the content on a deeper level.